Posted by Mary on Thursday 15 August 2013 in the Health Category. Meditation and especially mindfulness has become a buzzword of late. More and more doctors who originally shunned the notion of anything alternative are now recommending mediation to patients suffering from stress. But how do you do it and for how long? Does it matter what style of meditation you do? 1. Mindfulness Meditation or Vipassana: The most popular type of meditation comes from the Buddhist tradition. Mindfulness is about being aware of the sounds and activities happening around you. It’s all about ‘being present’, letting your mind accept whatever thoughts come up, while practicing detachment from each thought. Mindfulness is taught along with awareness of the breath, though the breathing is often considered to be just one sensation among many others in the body. Through the practice of mindfulness the aim is to become the observer of your thoughts. You come to realise you are more than your thoughts and they do not control you. With regular practice the practice of non- attachment becomes habitual. The goal is to carry mindfulness into your daily life, whereby you become more aware of your thoughts, words and actions. In this way you come to cultivate peace and serenity in your life. 2. Zazen (Sitting in Zen meditation) Similar in many ways to mindfulness, Zazen focuses on attentiveness, which is the heart of most forms of meditation. As you sit in lotus position, the spine must be erect with the head held high. You become aware of the restless, wandering mind. One moment you are thinking one thing and the next moment a new thought arises. Inwardly we are often absent. Our minds are permanently busy with demands, illusions, desires and other distractions. Attention in Zen meditation concentrates on breath and body. In this, deep abdominal breathing is of major significance. It connects body and mind and helps to explore the deeper levels of existence. Respiration through the nose down to the diaphragm centers and relaxes the mind. During expiration the slow extended length of the breath is particularly supportive. With each out-breath there is a sense of “letting go”, of breathing without any goal. There is no need to manipulate the breath. It should be silent, slow and relaxed. 3. 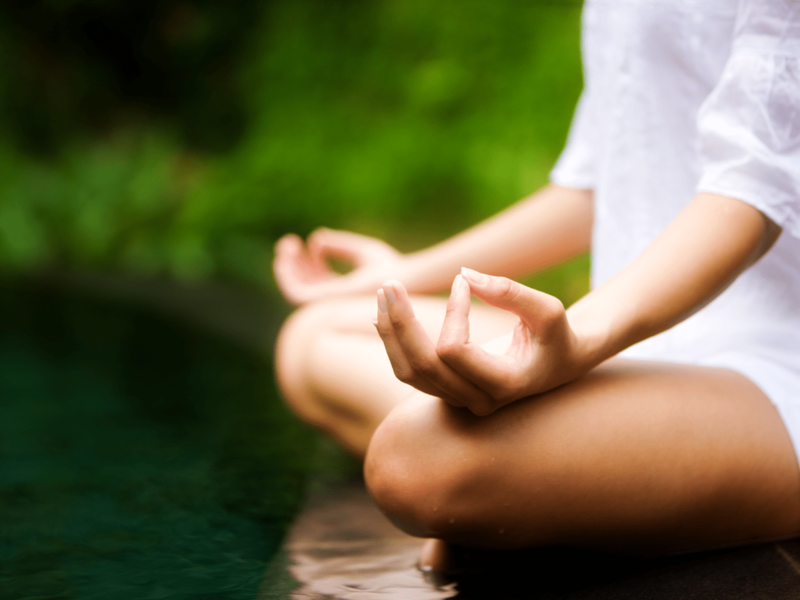 Transcendental Meditation – originates from Vedanta, within Hinduism. It first gained recognition in the west during the 1960’s popular in the sixties when the Maharishi Mahesh Yogi became guru to the beatles. In TM, you sit with your back straight, in the Lotus posture, and use a mantra, a sacred word like OM that is repeated. Your focus is on rising above all that is impermanent in this life. TM is a more involved method than either mindfulness or zazen. At the more advanced levels, TM focuses on the breath and changes the breath to change one’s state of being. TM often leads to out of body experiences. That is can be problematic because the energy of the body and the mind can be disrupted. 4. Spiritual Meditation or Connecting with inner knowledge: Known by many as an exercise in listening to the still small voice within. This type of meditation is often for those who regularly participate in prayer, as it’s based on communicating with God. Paradoxically, for some non-spiritual people it is a way of connecting with one’s higher self or super consciousness. Just like the other styles, you may begin with concentrating on your breath. As you become quiet and still, you may focus on a question or problem you might have. 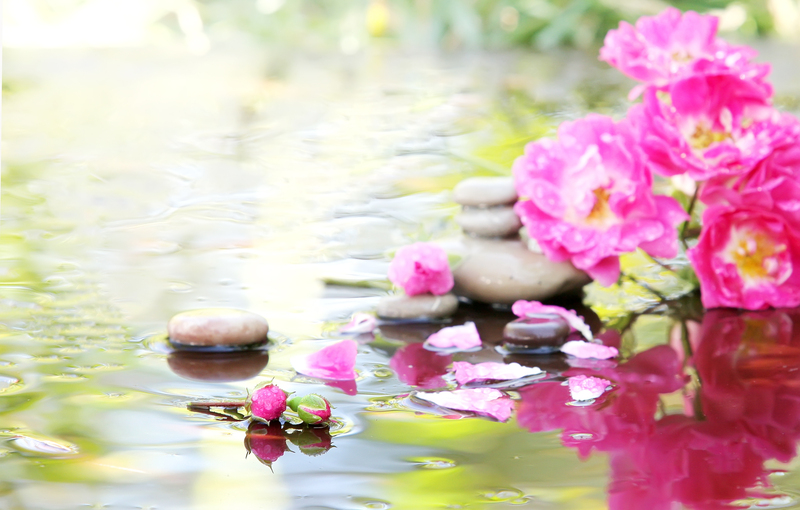 This style of meditation can feel not only relaxing, but rewarding as well. Many people who practice this find it is a way to get answers to problems which may otherwise make them anxious and act unwisely. 5. Guided visualization is usually led by a teacher or can be done while listening to a recording. It may begin with a focus on slowing the breath as you inhale and exhale. An example would be to imagine you are walking down steps (leading to a beach or panoramic scene) as you breathe in and out. Not every recorded meditation is an example of guided visualization; some may contain elements of hypnotic suggestion. If you are listening to a recording where the guide lays out a method for you to do yourself, or calls attention to sensation and energy already occurring within you, that is not guided visualization, but rather meditation instruction. May I be safe. May I be well. May I be happy. May I be peaceful and live with ease. While you say these phrases, allow yourself to sink into the intentions they express. Loving-kindness meditation consists primarily of connecting to the intention of wishing ourselves or others happiness. Through the various 5 stages you will in turn send out these intentions to persons who are close to you and finally to all sentient beings. The method of meditation if practiced often can bring great peace into the practitioner’s relationships. It is said to produce an inordinate amount of good karma. There is a lot of myth surrounding meditation so I hope I have explained the various methods in a reasonably simplified manner. My teacher Lama Jigma concurred with this message, telling us that you do not have to meditate for long periods in the day. In fact to begin with ten minutes in the morning is great. Lama Jigma emphasised that it is the quality of the meditation that is more important than the quantity. My personal choice is a mix of Mindfulness, Zazen and Meta. Feel free to tell me what you think by adding your comments below. I’ve practiced TM (mantra based) meditation since my teens when I was initiated, but only from time to time. But since a meditation weekend in Oxford with the BK’s in July 2011, I’ve been graced with the desire to meditate every morning for some 30 – 40 minutes, TM style, eyes closed, using the personal mantra to use as a focus when the mind wanders. Also, having studied I Am That by Sri Nisargadatta Marahaj, I use the sanskrit Aham Brahmasmi (I am the Universe) as a very powerful sound as well. I work as a healer, and find this practice every day invaluable. Thanks for visiting and adding your comments John. Your commitment to mediation is obviously invaluable in the work you do. This was fascinating, Mary. I practice mindfulness meditation a few times a week, but would like it to be more of a daily practice. I also have a few visualization meditations I listen to. You’ve inspired me to look into different practices! Thanks for stoping by Debra. It’s great to practice meditation for any length of time. Every master advises it is the quality rather than the quantity that matters most. To start the day with 10 minutes is beneficial or take an occasional break at your desk.